Everyone’s favorite bear family is back in this collection of seven classic Berenstain Bears Bright and Early books - for less than the price of two! 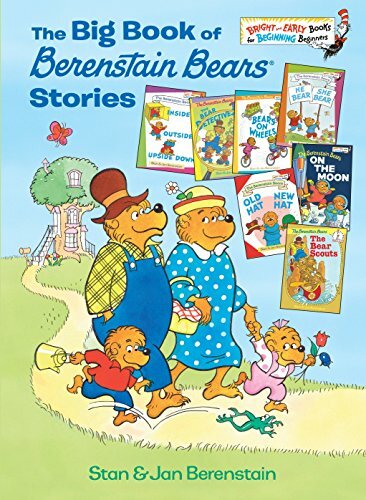 Written and illustrated by the beloved husband and wife team of Stan and Jan Berenstain, this one-of-a-kind treasury—featuring a story that has been unavailable for fifteen years—includes The Berenstain Bears on the Moon; The Bear Detectives; Bears on Wheels; He Bear She Bear; Inside Outside Upside Down; The Bear Scouts; and Old Hat New Hat. A perfect addition to your collection for those just learning how to read . . . or those just starting to read all on their own.